Click here for details and timetable of the MAAA Challenge Meeting 2 which is being held on Saturday 29th of March, 2014. For Details of the MAAA Clubs’ League 2014 Circular click here. Click here for all the results of the events held over the week-end (6th and 7th of March) at the Matthew Micallef Athletics Stadium on the occasion of the first Challenge Meeting of the Season. Field events continue to steal the local limelight as was often the case last season. With Antonella Chouhal, at the last of the Pre-Season Meetings improving the National Record in the Women’s Hammer, Open Category, this weekend saw Luke Farrugia and Bradley Mifsud establishing National Junior Records in the Discus and Javelin respectively. Athletics was further graced with the performance of Rachel Fitz in Sopot Poland, participating in the 60m sprint where she clocked a very creditable time of 7.86 seconds at this showcase of the IAAF World Indoors representing. Congratulations to all these athletes, while not failing to mention the good turn-out at the Marsa and other impressive performances which auger well as this early stage of the Track & Field season. PS. If you have nice photos to add to this entry kindly forward them and I will upload them. I did not spend much time on the track this weekend so I have no photos to upload. Sorry! Thanks for following our blog – today we had a record of over 500 hits and more than 210 different individuals who accessed the website! Big thank you to all! Rachel Fits representing Malta – clocking 7.86 – only 0.01 seconds off her personal best. The MAAA athlete Rebecca Camilleri is one of the nominees for the ‘National People’s Choice Award’ in connection with the KMS ‘Gieh l-Isport Malti’ Awards. The full list of sportspersons can be seen on the KMS web-site (www.sportmalta.org.mt). 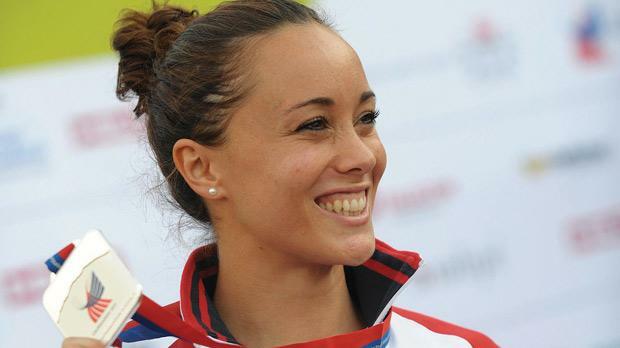 Members of the MAAA and followers of athletics are being invited and encouraged to vote for Rebecca Camilleri who in 2013 set a new National Record for the Long Jump and was second in the 2013 European Team championships. Full details of how to vote are in the attached Circular.